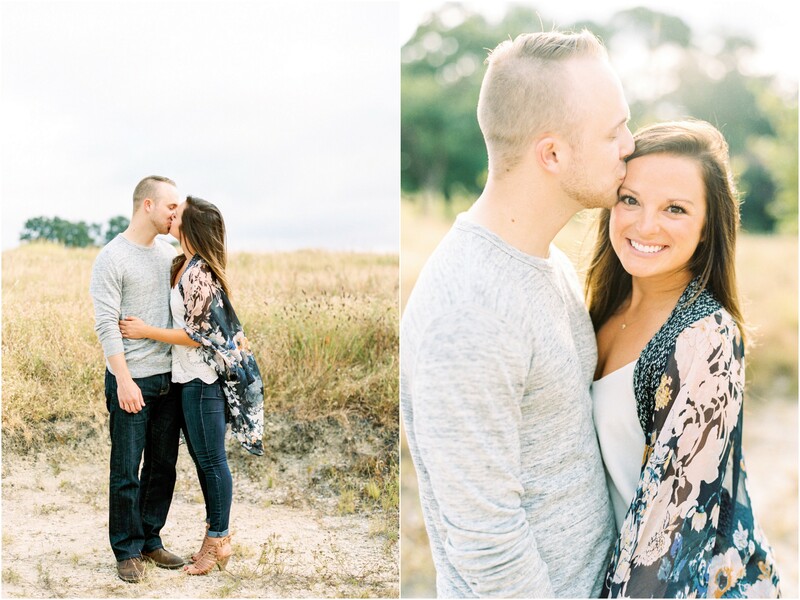 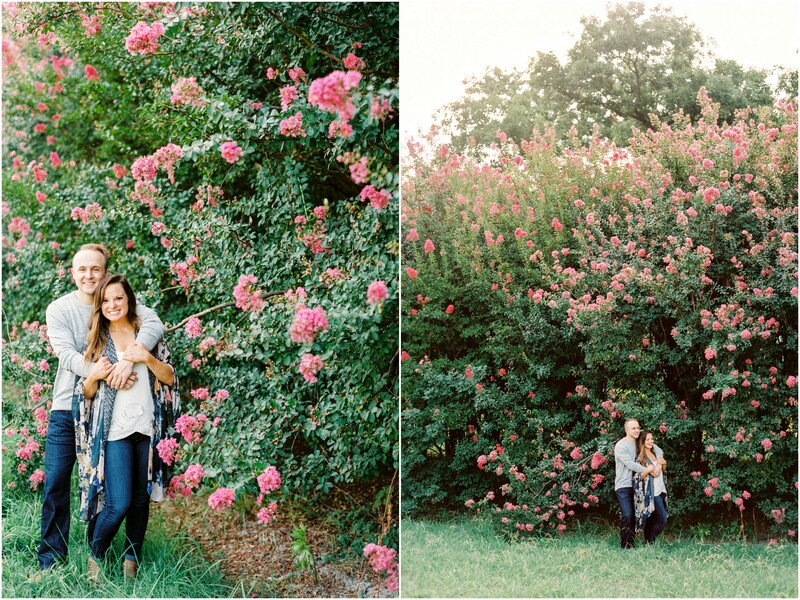 After two years in a long distance relationship, packed with memories of the great outdoors, Andrew knew the perfect way to propose. 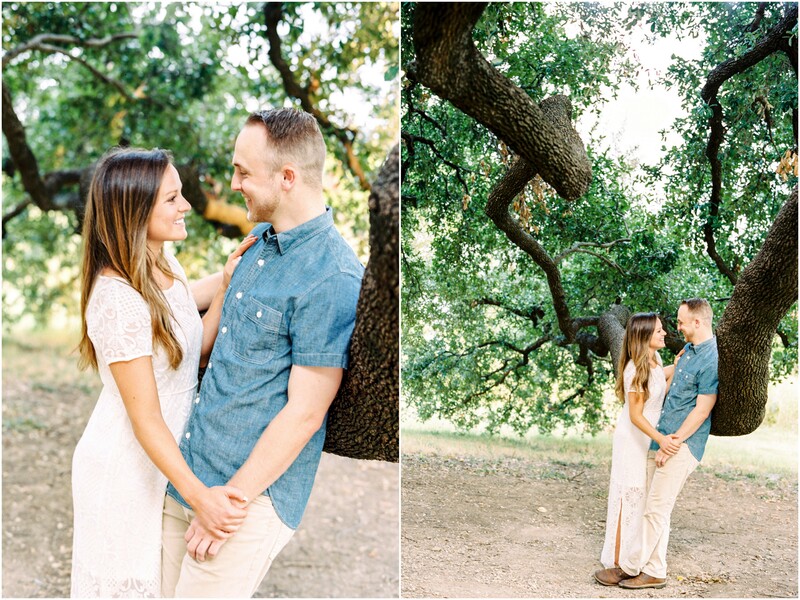 On the morning of New Year’s Eve, the two hiked to the top of Enchanted Rock where he got down on one knee and presented Raquel with a sparkling rock of her very own. 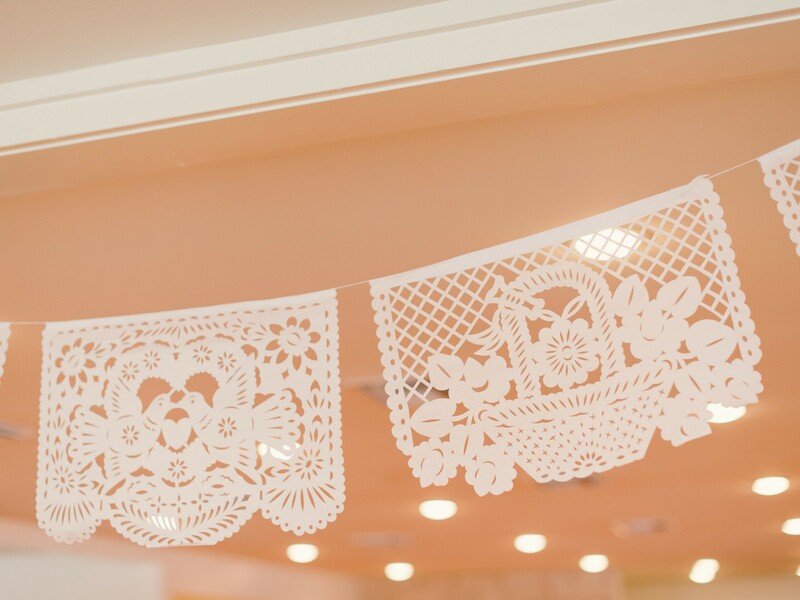 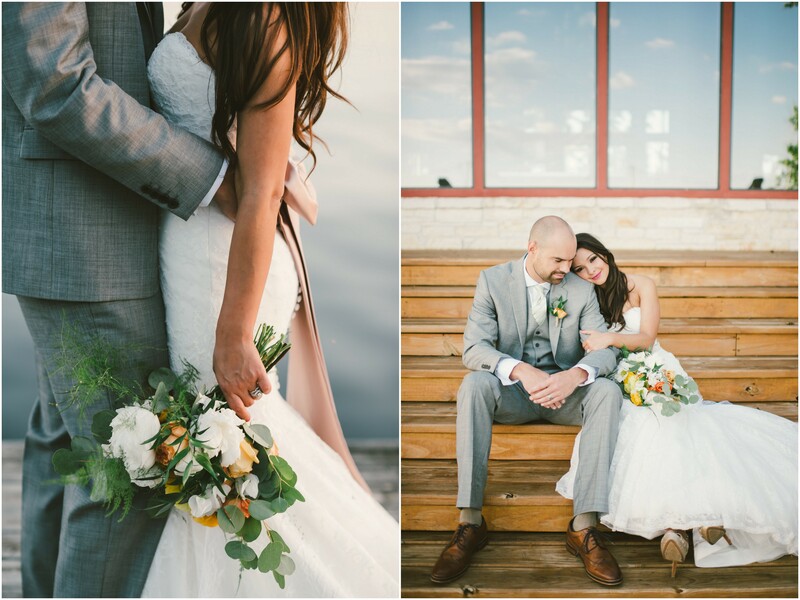 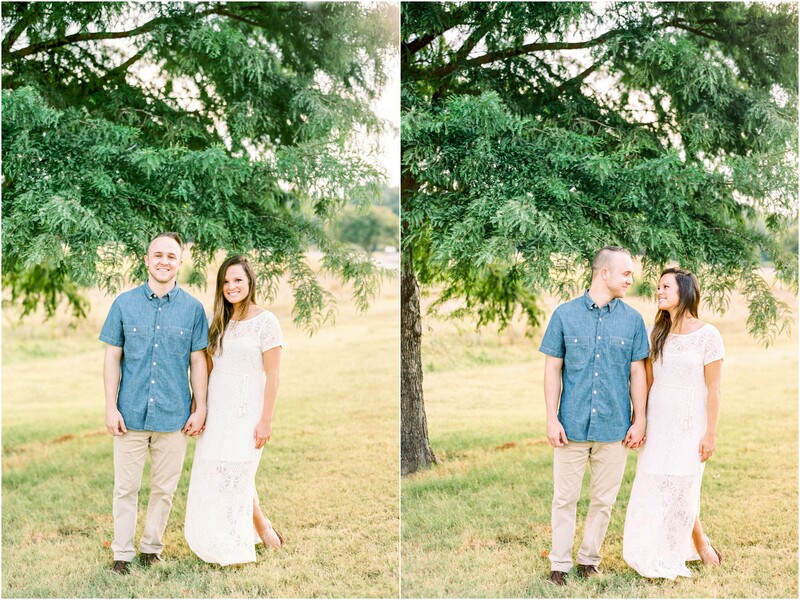 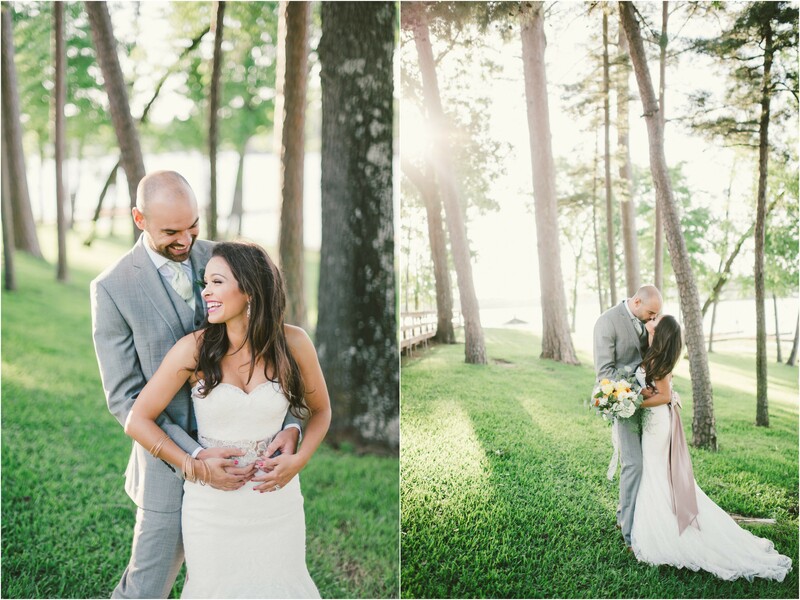 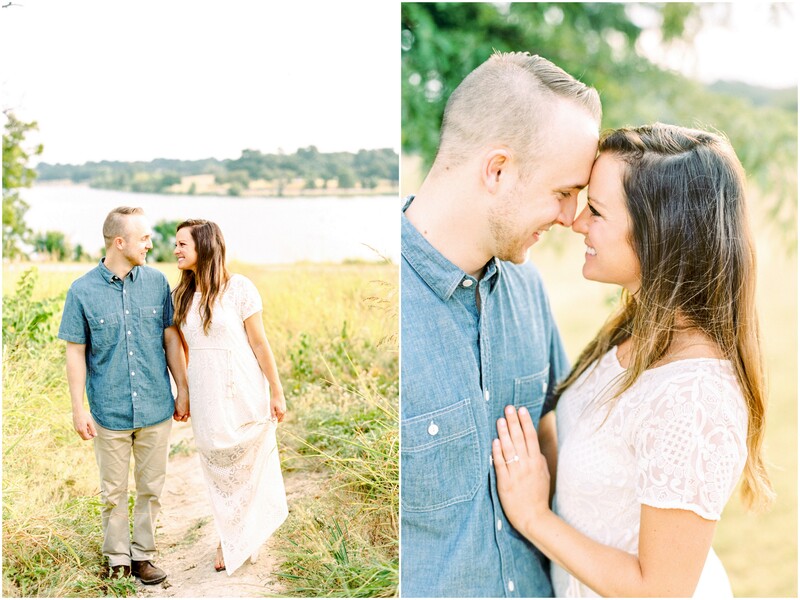 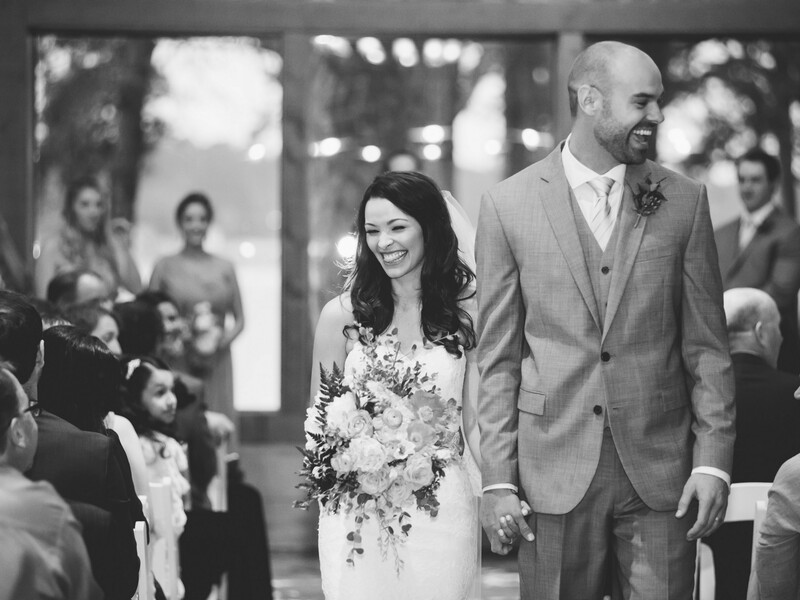 Raquel and Andrew have fond memories of spending summers on the lake with their families, so when scooping out venues for their Texas-sized wedding, a lakeside affair made perfect sense. 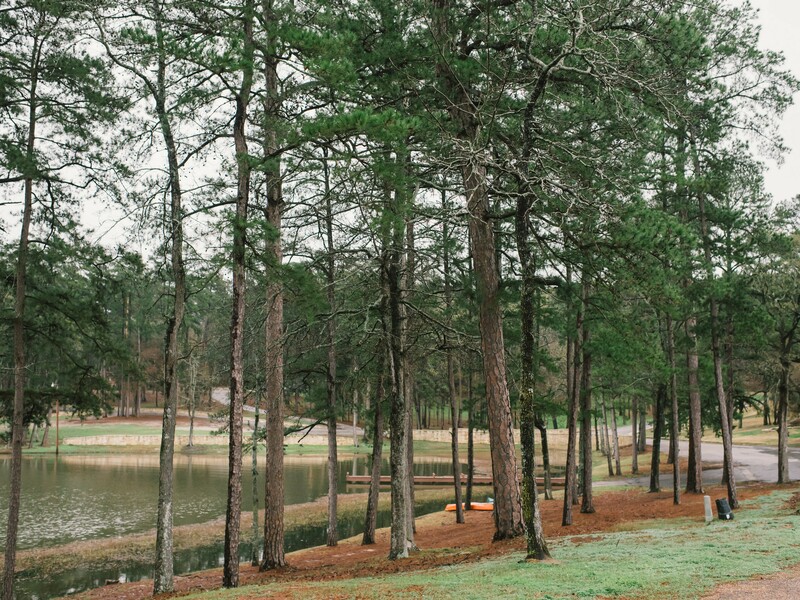 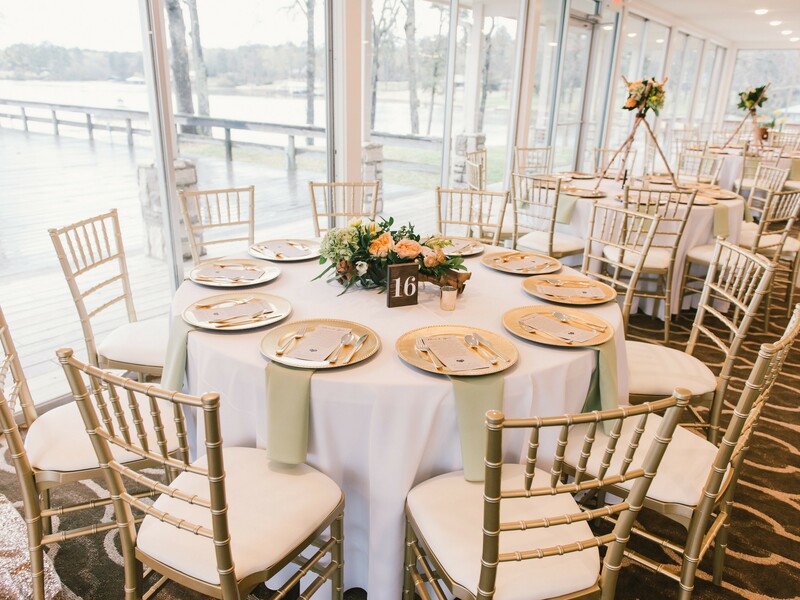 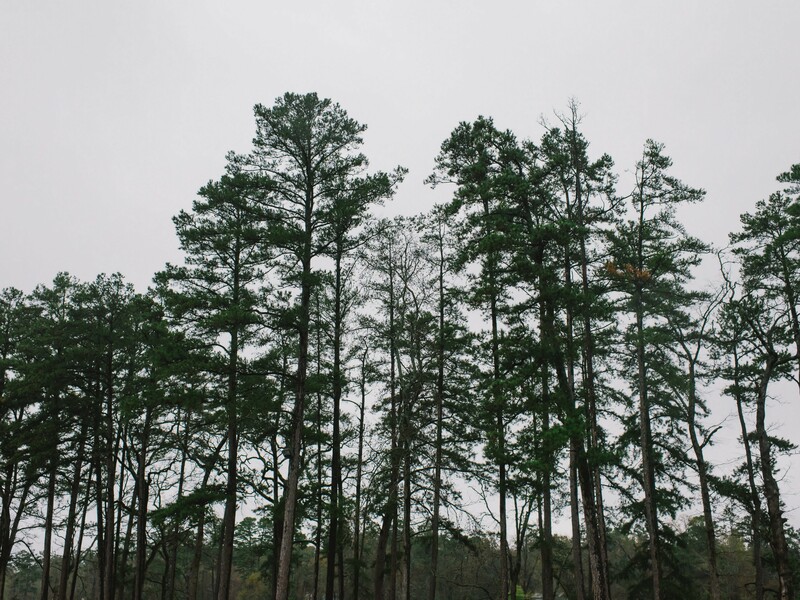 The Lake Tyler Petroleum Club, located 90 minutes outside of Dallas, offered the tranquil outdoor setting they were looking for complete with tall pines and a waterfront view. 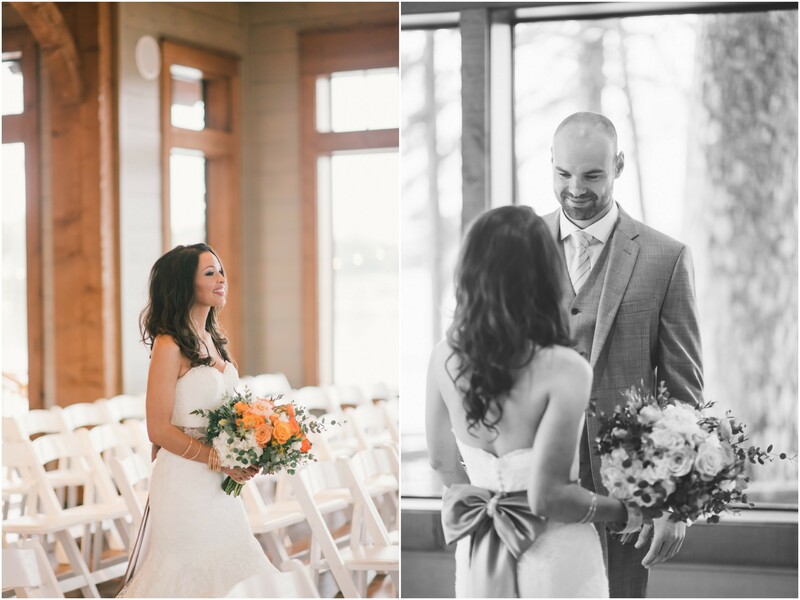 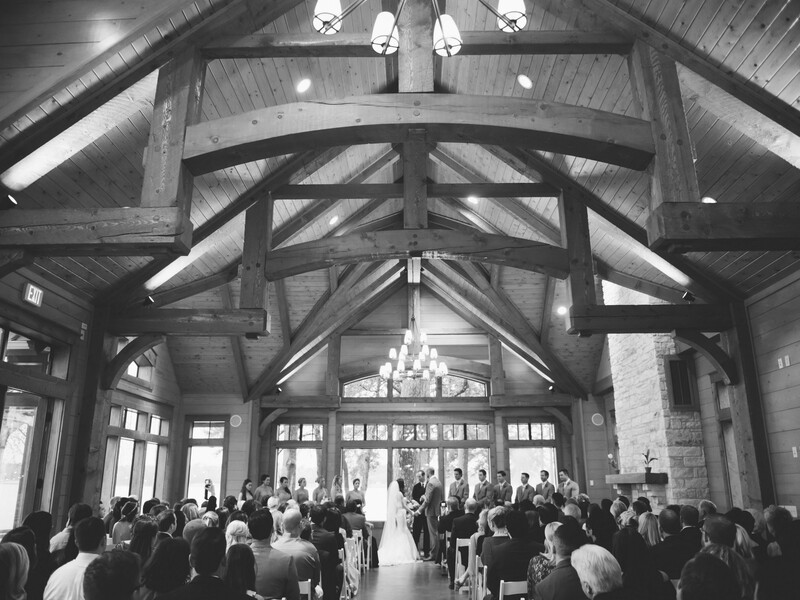 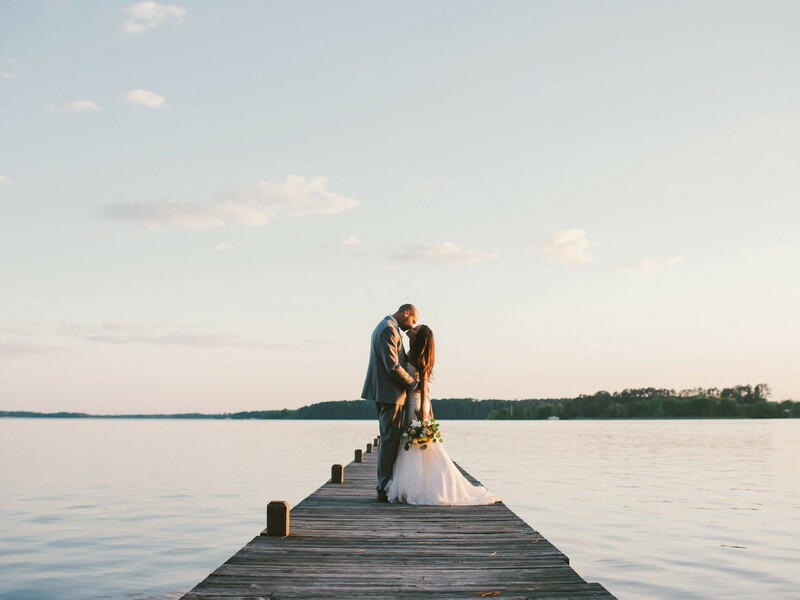 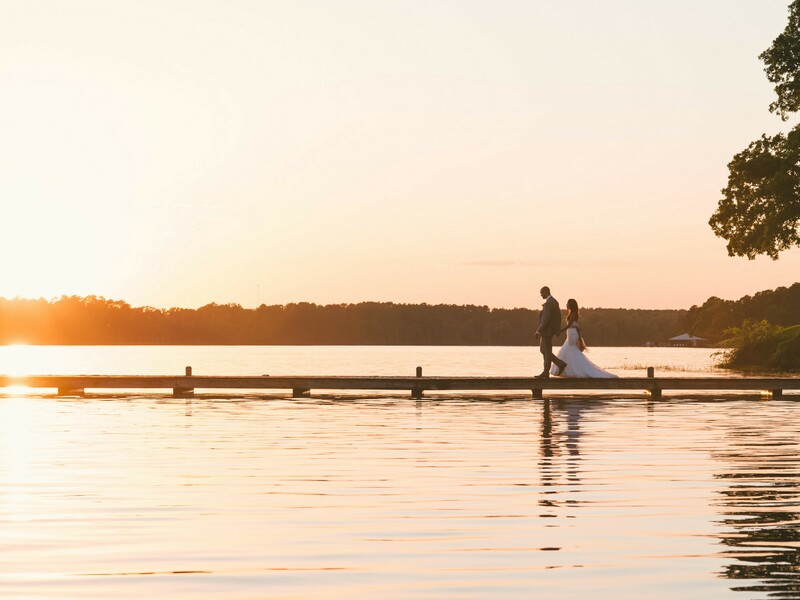 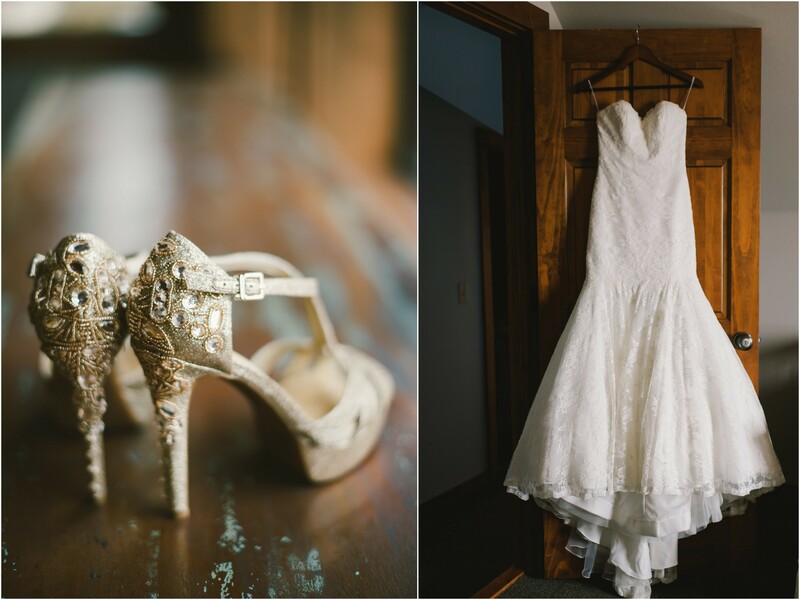 Walking beneath a stunning wooden ceiling of the Lakeside Clubhouse, Raquel met Andrew in front of the picturesque view of Lake Tyler to say “I do”. 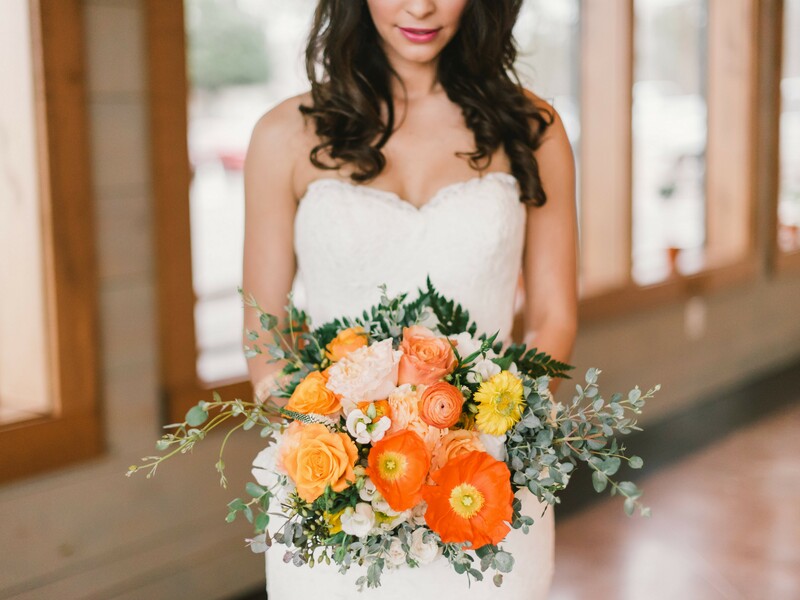 Bridesmaids wore draped sage green dresses and carried bouquets of vibrant orange poppies, ranunculus and roses to match the bride’s fuller version. 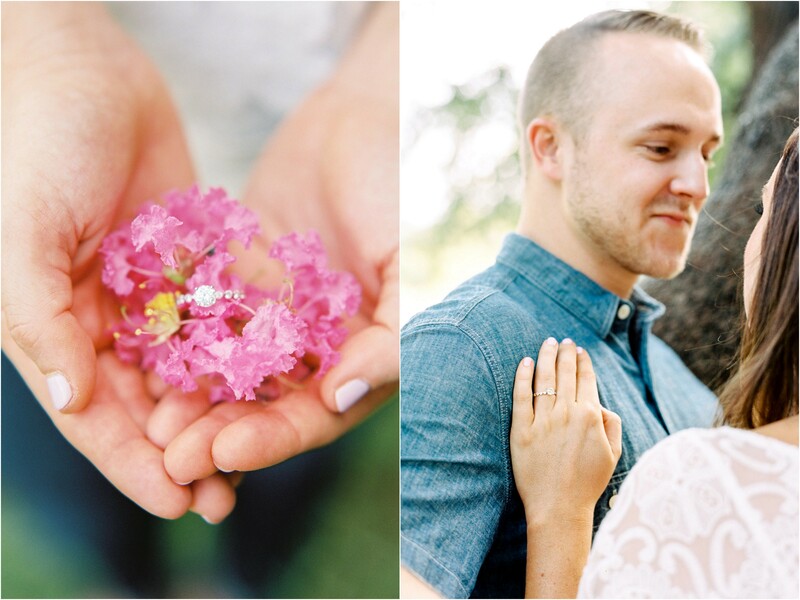 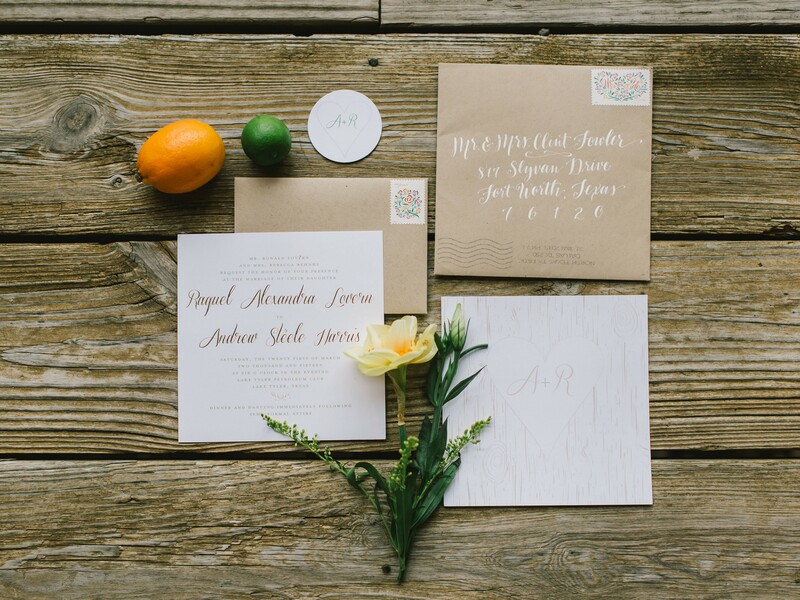 Their beautiful March wedding was filled with delicate citrus touches as an ode to the spring season. 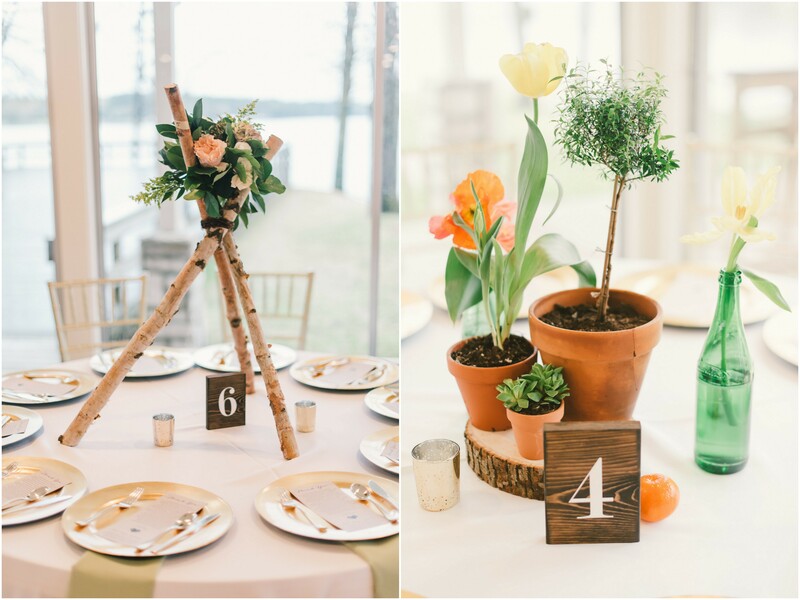 A variety of centerpieces showcased the natural tone of the wedding with potted plants, bud vases and wooden table numbers. 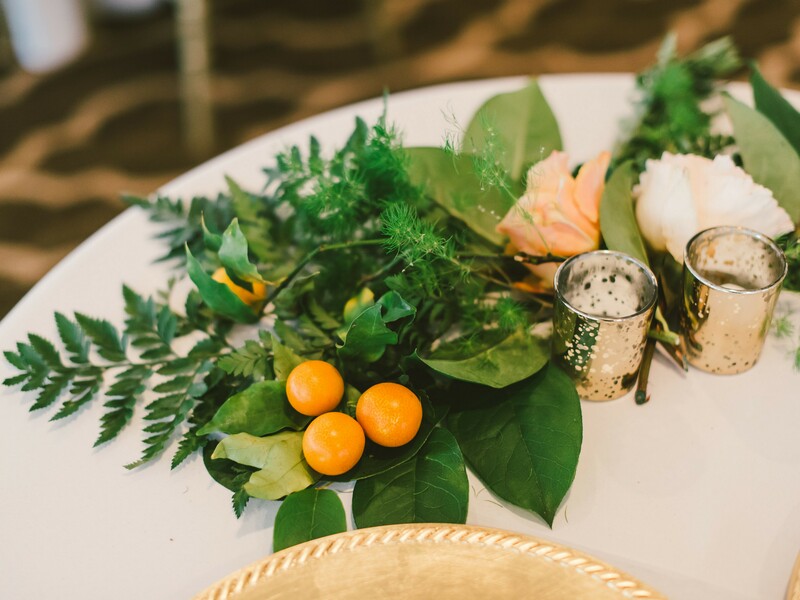 Birchwood teepees cradled flowing greenery and flowers to add height to the ceremony space. 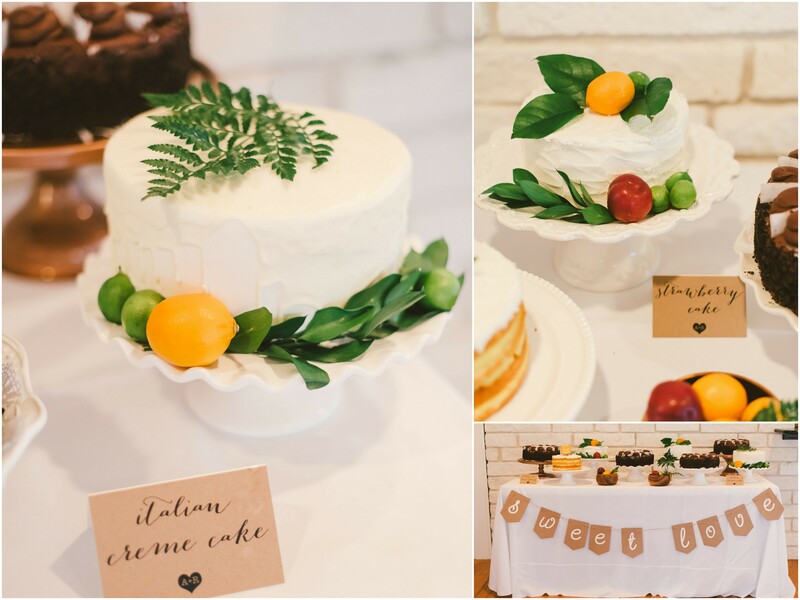 The dessert table continued the theme by adding oranges, limes and fern details to the collection of cakes. 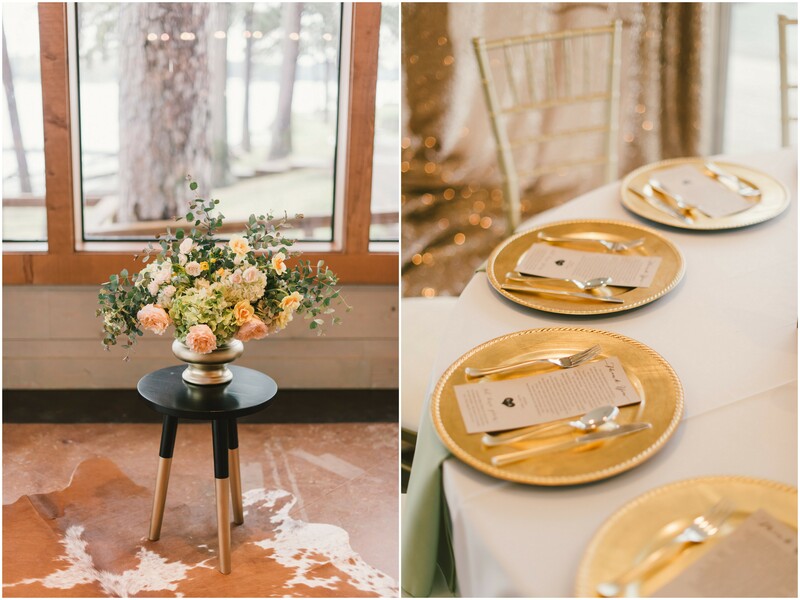 Gold Chiavari chairs, sleek chargers and mercury glass votives lent a touch of glamour to the night that Raquel and Andrew were thrilled to share with family and friends.